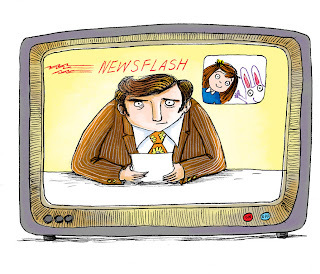 Sarah Warburton Illustrations: "We interrupt this blog for a special MABEL and ME Newsyflash!" 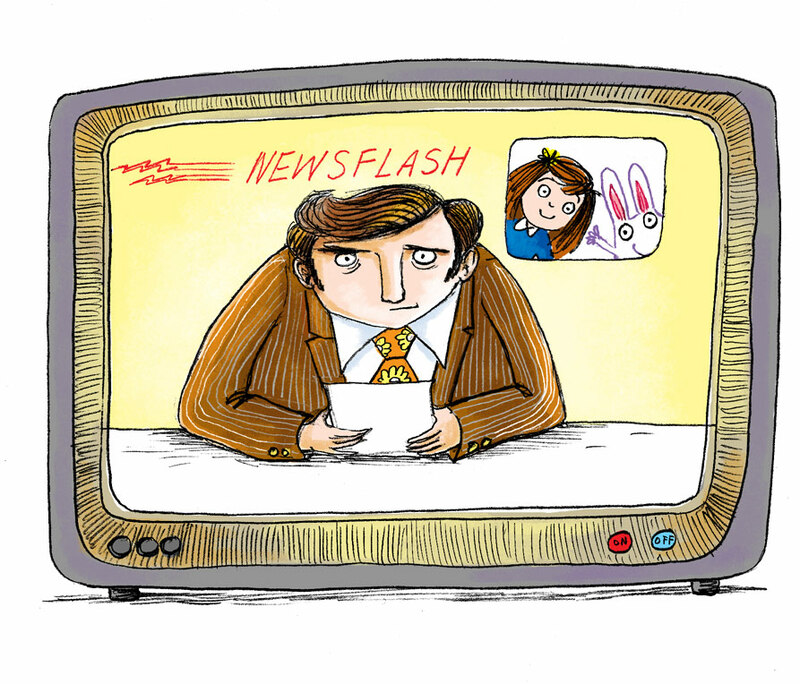 "We interrupt this blog for a special MABEL and ME Newsyflash!" "Good evening TELE-VIEWERS, Pippity-squeaks and Lady-gents. 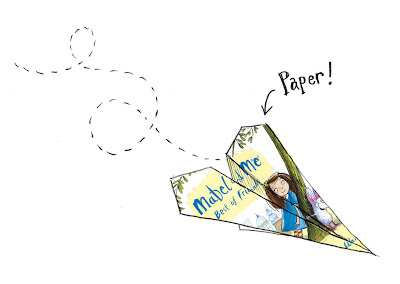 From today you can buy Mabel and Me Best of Friends' in FABULOUS -PAGE TURNING 'PAPERBACK! So why not toodle, poodle or quite simply POOTLE down to your local book store and pick up a copy ....MUCHO PRONTO!" Well...for a moment I am TOTALLY lost for words and I feel my whiskers start to bristle and boil. 'Mabel,' I say,"has Mr Newsyflash, seriously interrupted our favourite cartoon just to tell us that!!! "Doesn't he know we already own a perfectly lovely HARDBACK copy of 'Mabel and Me Best of Friends' which we keep in PRIDE OF PLACE somewhere under the bed..."
For, while my whiskers were bristling and boiling, Mimi and Moi have landed SLAP! BANG! back on our TV screen. But (CAN YOU BELIEVE IT?) a moment later,there is YET another interruption! 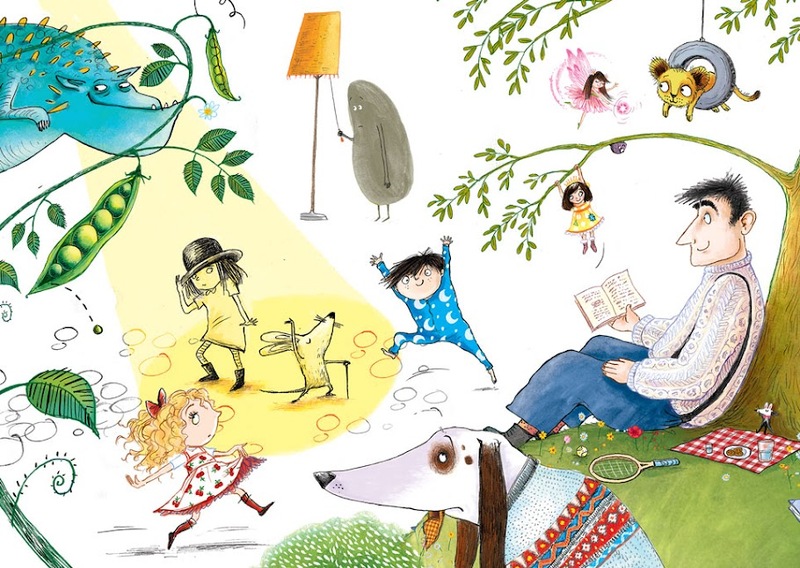 "Mabel" I say," Even though we already own a perfectly lovely hardback copy of "Mabel and Me' why don"t we POTTLE down to our local book store and buy a HUGE stack of paperbacks to hand out to all our friends and JELLY- tives!" Then without a second thought, we turn off the tv, grab our piggy banks and CHA-CHA , JIVE and QUICK STEP out the front door. Ace! MAde me chuckle. I love the cartoon! ninja burd is lovely and crazy!! 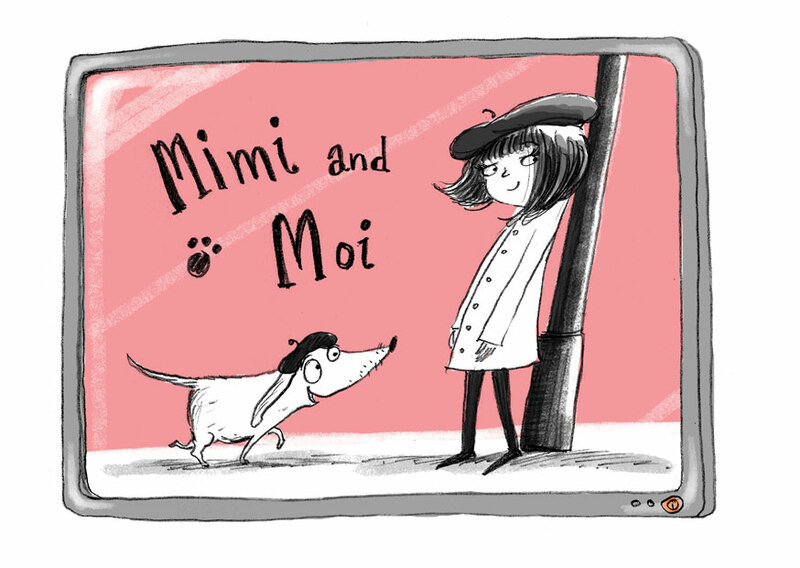 Exciting news re paperback availability, but also wanted to say how much I love Mimi et Moi! Shall be modelling myself on Mimi's look from now on!